Get ready to pop some popcorn! That’s right keep the decorations au naturale with popcorn & cranberry garland. Dried orange slices, cinnamon bark, and pine cones make great ornaments and also keep your tree smelling wonderful! 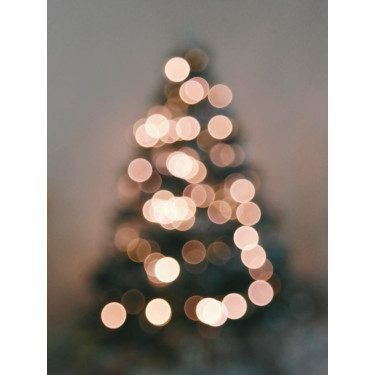 If you want to go with a more contemporary look this year, try simple Christmas decor with solid black and white ornaments and twinkling white lights. You can even go the extra mile and wrap all your presents in black and white wrapping paper to match your tree. 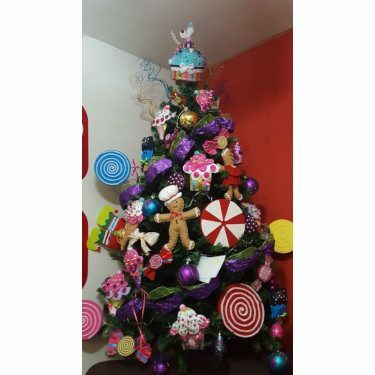 Decorate your tree with candy themed ornaments, enough to make even Candy Land jealous. 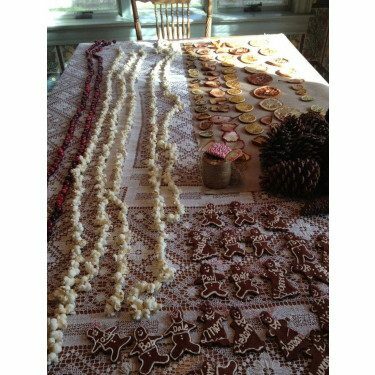 From candy canes, to lollipops, to gingerbread people, your tree will surely look yummy! Add lots of color and twinkly lights to compliment the candy theme. 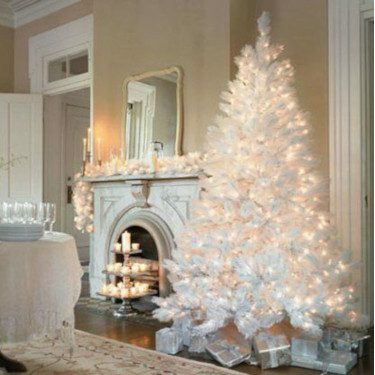 If you don’t mind artificial trees, purchase the white ones and it will definitely blast you into a winter wonderland. 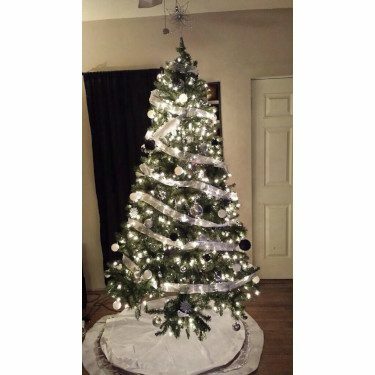 Decorate with metallic silver and white ornaments only with lots of white lights. 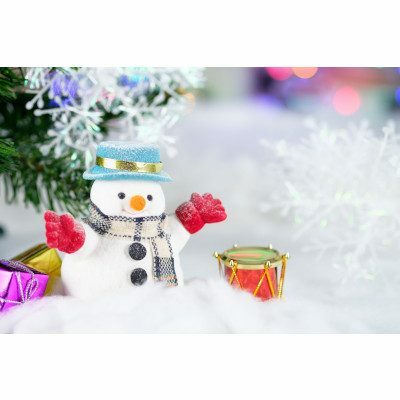 Don’t forget the fake snow around the Christmas tree! 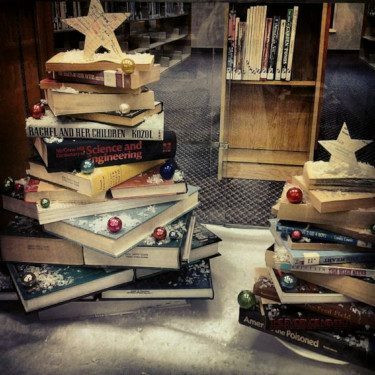 Skip the tree all together and pile up your favorite books in the shape of a mini tree. No ornaments are needed here, just a string of lights around your books and of course the tree topper! HOME for the Holidays SALE is Happening NOW!